I am engaged in playful material improvisation and inventive processes that explore the formal and philosophical dualities of objects and spaces. Choreographed approaches embrace the unexpected in each process forming hybrids that hold both the original identities of the materials, and thought processes, fusing them into altered, shape-shifting material states. Uncovering a deep resonance with bronzecasting and ceramic forms has informed and, in turn, been informed by, a dualprocess of waterless lithography and screen-print on Perspex. Expanding theinherent properties of these specialisms offers a physical challenge in termsof harnessing complex processes and provides me with components that I canorchestrate to suit. The lost-wax bronze casting process has given ‘weight’ tothe imprinted essence of paper notes and drawings. The drawings express an invisiblerhythmic response to tonal vibrations as experienced through music and colour.The high frequency of the fluorescence employed transmits a visceralillumination printed through the Perspex. between the metaphysical thinkingaround objects, their properties and how we ‘see’ them. Louise Ritchie is an artist, lecturer and creative facilitator working in independent and collaborative contexts, embracing many processes and experimental pathways. Her practice examines a range of tangential explorations,overlaps and collaborations that articulate the process of creativitycuriosity. 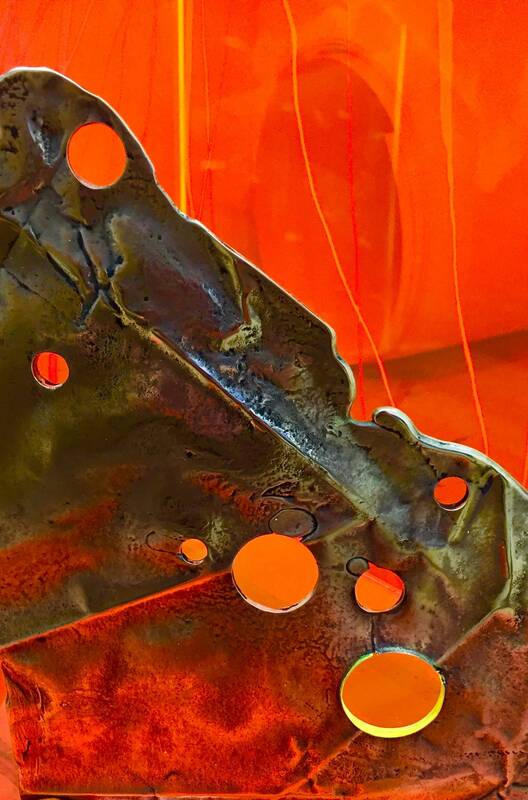 Multi -faceted, contrary fascinations sweep broadly andloosely with a range of media spanning public art commissions, independentworks, printmaking, performative and lens-based works, to large spatiallysituated paint/print-forms. 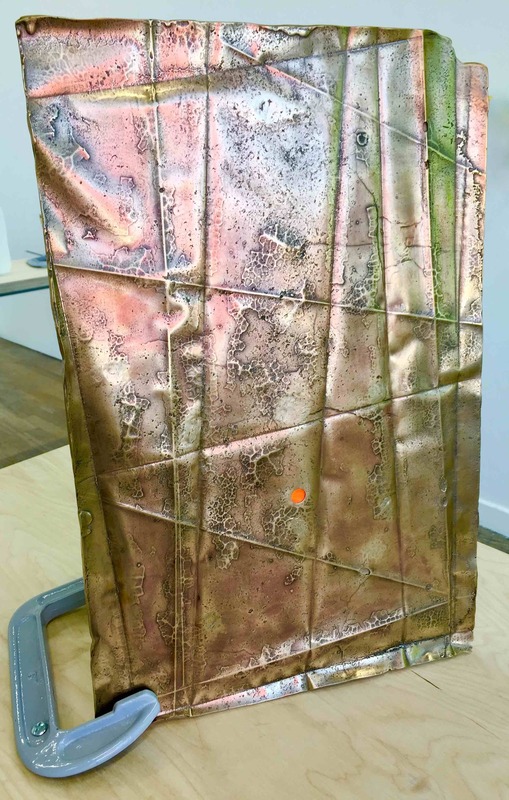 A BA (Hons) Fine Art and MFA Art &Humanities Graduate of DJCAD, Dundee, Louise is a lecturer on the BA (Hons)Contemporary Art Practice Programme at City of Glasgow College / UWS Universityof West of Scotland. She is a former President of the Society of ScottishArtists (SSA) and has won several major awards including, most recently, theDuncan of Jordanstone MFA Art & Humanities Prize 2018. Exhibitingwidely in the UK and abroad including London, Bulgaria, China, Belgium andFrance, Louise has also co-created projects for Angus Council as an Artist inResidence and her work is in several major collections including The MirrorGroup, London, University of Dundee, City of Glasgow College Art Foundation andDundee City Council. 2015-2016Co-Editor of ’60×60′ publication, a critical record of an internationaltravelling exhibition to 60 countries launched in Gallerie Epruve, Antwerp,Belgium.